Canon EOS M - Live Up To Its Pedigree? We've waited years for Canon to take a bite out of the compact system camera pie, and photography's top dog has finally opened its jaws. But does the EOS M live up to its pedigree or Is It a miserable mongrel? The APS-C sensor from Canon's mighty EOS 650D has been transplanted into the EOS M. as has the DIGIC 5 processor and its 31-point autofocus. 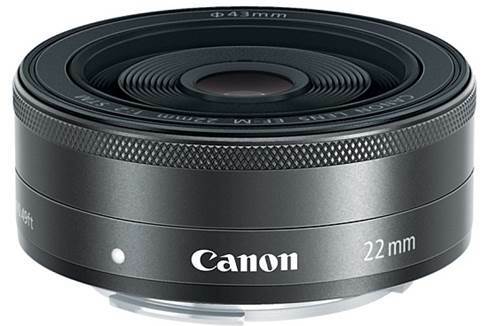 However, the EF-M lens mount is all-new and means a new range of smaller lenses. Fear not, Canon faithful an optional adapter (below) allows you to add the EF and EF-S lenses used by EOS SLRs. The APS-C sensor from Canon's mighty EOS 650D has been transplanted into the EOS M.
It really is incredible that Canon has squeezed all the photo goodness of the EOS 650D into such a tiny body - one that comes in red, silver, white or black. With the tiny 22mm pancake lens fitted, it's a truly pocketable package. It's not the most comfortable to hold. Though, with few finger-friendly folds. Unlike most compact system cameras, the EOS M doesn't have Image stabilization built into the body, so it relies on the IS powers of the lenses you mount on it. The standard 18-55mm kit lens does an okay job of steadying matters, but don't expect the monster stabilizing power offered by the class-leading Olympus E-M5. It really is incredible that Canon has squeezed all the photo goodness of the EOS 650D into such a tiny body - one that comes in red, silver, white or black. That's right, you can't see a flash glinting out of that Spartan fascia. However, Canon hasn't completely forgotten bright-bulb fans - the hot shoe will house the compact Speedlite 90EX flash. It entails budgeting an extra E120, but it does perform better than most built-in flashes. Another piece of tech pinched off the EOS 650D is the 3in touchscreen the best you'll find on any camera. Still, for changing settings quickly proper buttons and dials rule, so it's a shame the EOS M's controls are more akin to Canon's compact cams. If you're looking for Power shot G15-like manual control, you'll be sorely disappointed. Another piece of tech pinched off the EOS 650D is the 3in touchscreen the best you'll find on any camera. The flash isn't the only thing you might miss. There's no viewfinder built Into the body. In itself that's not a big deal but there's not even a provision to add an external one. That's not great news if you often shoot in bright sunlight, or like to focus manually. If you can live without a zoom, at least for the clay, fitting the EOS M with this "pancake" lens makes it even more portable. And with its bright f/2.0 aperture it offers great low-light performance. Fitting the EOS M with this "pancake" lens makes it even more portable. It adds some extra hulk but this adapter greatly expands your optical options to include any of Canoe’s EF and EF-S lenses Fancy an 800mm super telephoto? Go on then. 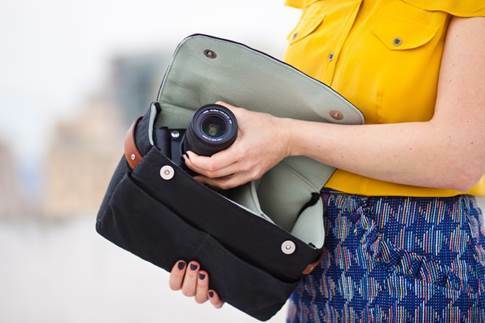 There’s nothing less cool than a serious camera bag. Chuck your Canon into this insert, which can then fir in a more everyday method of Partage. Chuck your Canon into this insert, which can then fir in a more everyday method of partage. Want to travel lighter still? This little plate screws into the tripod mount, allowing you to attach your camera to a belt. A quick-release catch allows quick-draw shooting. A quick-release catch allows quick-draw shooting. Canon EOS 6D - Lightest Full Frame DSLR Yet!